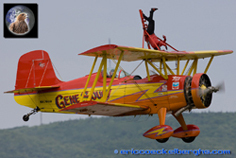 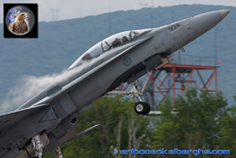 It was announced that the Quebec Airshow would become one of the biggest, and most certainly unique airshows this year. 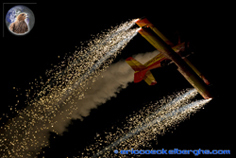 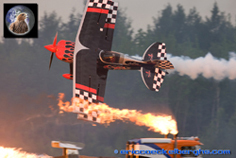 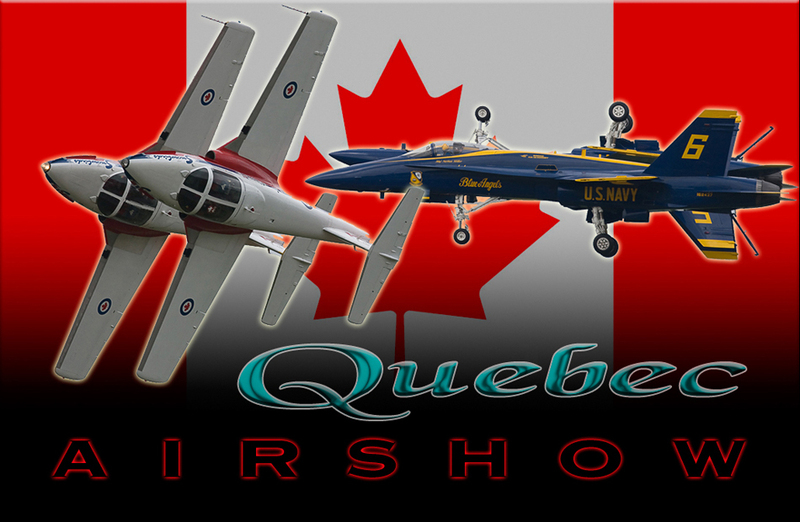 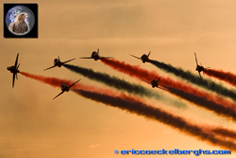 In view of all the celebrations around '400 years of Quebec' , the organisers were able to attract 5 of the top aerobatic teams in the world! 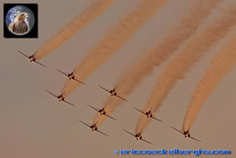 Unfortunately only a month in advance the Patrouille de France cancelled their participation; but the chance to see the Snowbirds, the Red Arrows, the Thunderbirds and the Blue Angels at one show was a good enough reason to go. 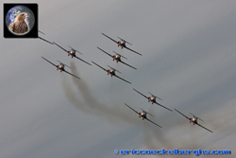 Unfortunately the best part of the show were the rehursal days, as it became very clear that showweekend was going to be véry clouded and wet. 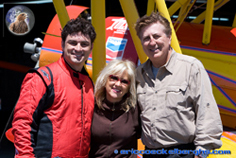 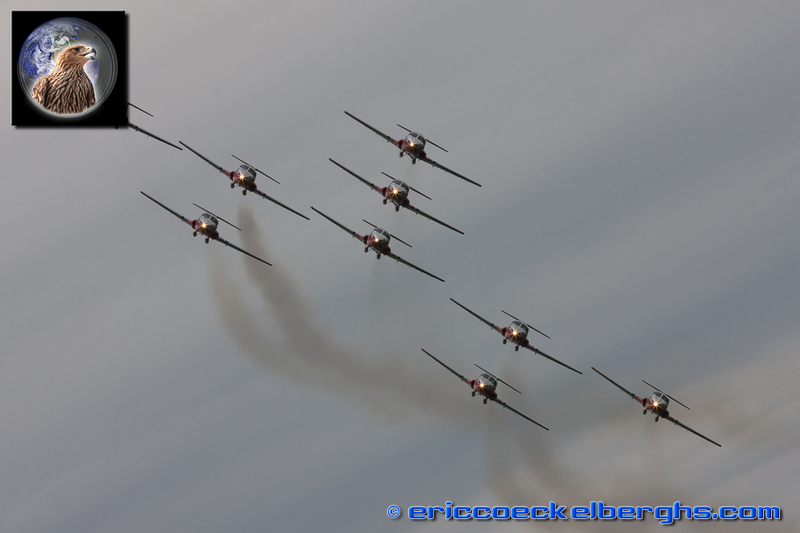 Indeed the teams flew their trainings in mostly steel blue skies, but by fridayafternoon the clouds got in. 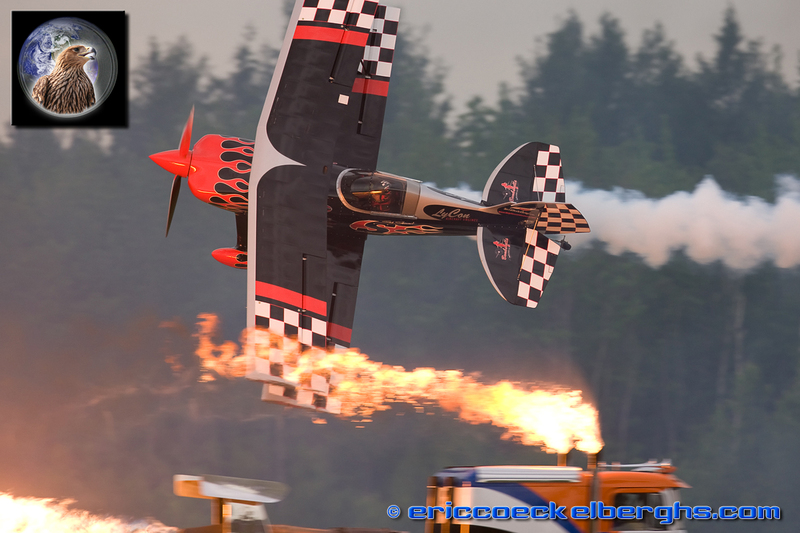 Luckely the last sunrays were reserved for the friday evening show, with fantastic displays by Skip Stewart, Gene Soucy, the Canadian skydive team etc. However the big stars were without any question the Red Arrows. 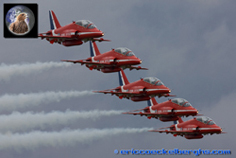 Saturday enjoyed an enormous crowd and they were treated by the displays of the 4 big jetteams; one again the Red Arrows were the clear favourites of the public. 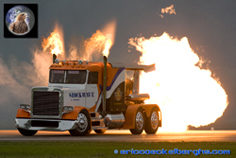 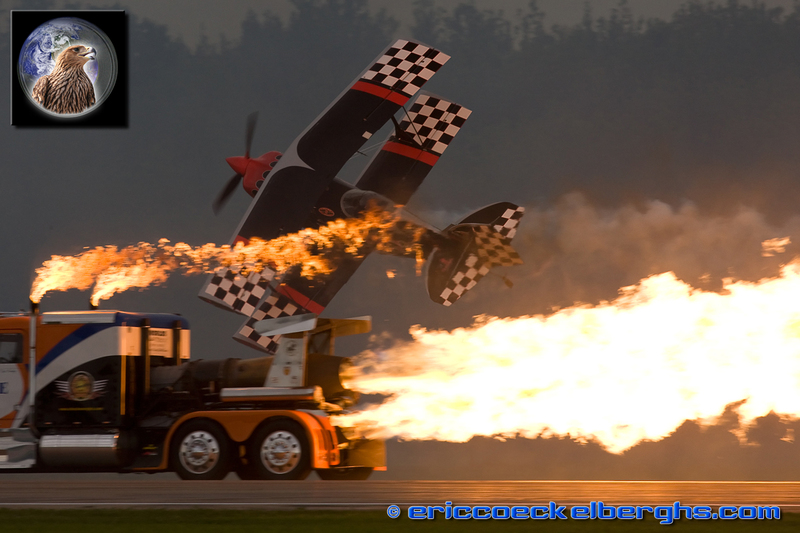 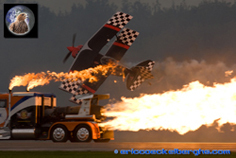 Always in for some hot moments and a ton of kerosine in flames was Rich Gibson and his crew, there spectacle was performed by the shockwave truck, Gene Soucy and Skip Stewart. 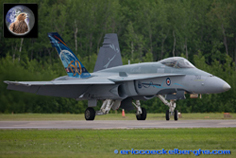 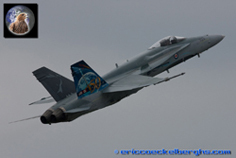 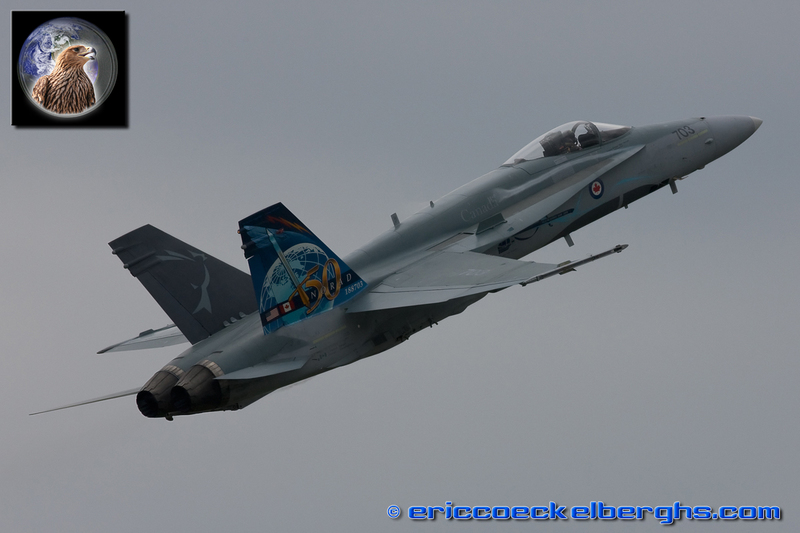 Of course the local star, the CF-18, stole another part of the show! 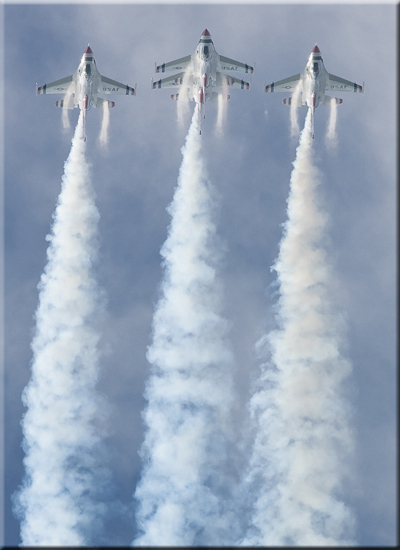 Unfortunately it was the only day that the 4 jetteams flew, all performing the flat show.....the Thunderbirds even flew the 'in very heavy rain' show! 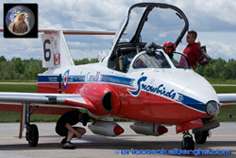 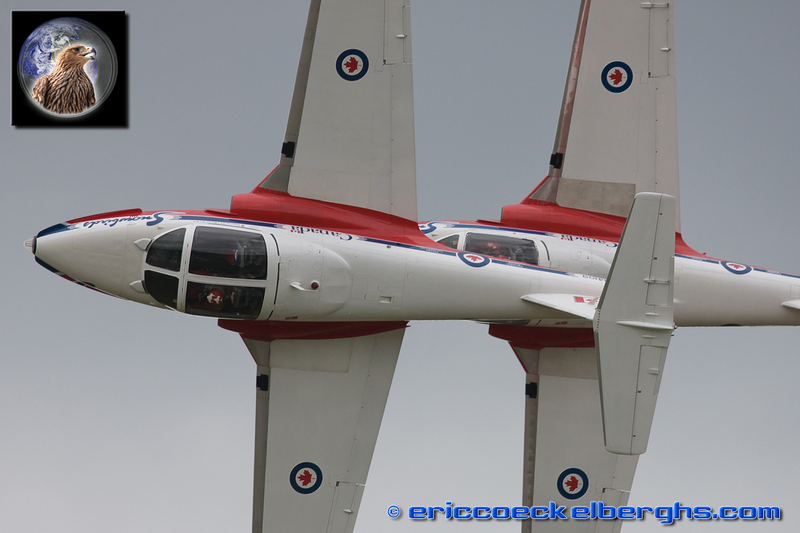 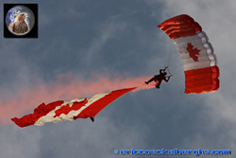 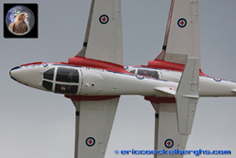 The Snowbirds were given another big round of applause of their many Canadian admirers. 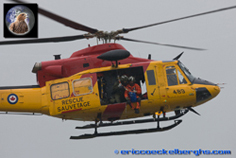 Sunday was simply a horrible day; low clouds and rain, rain and rain. It did clear up a bit and the organisers and performers definately tried to give the public still a show. 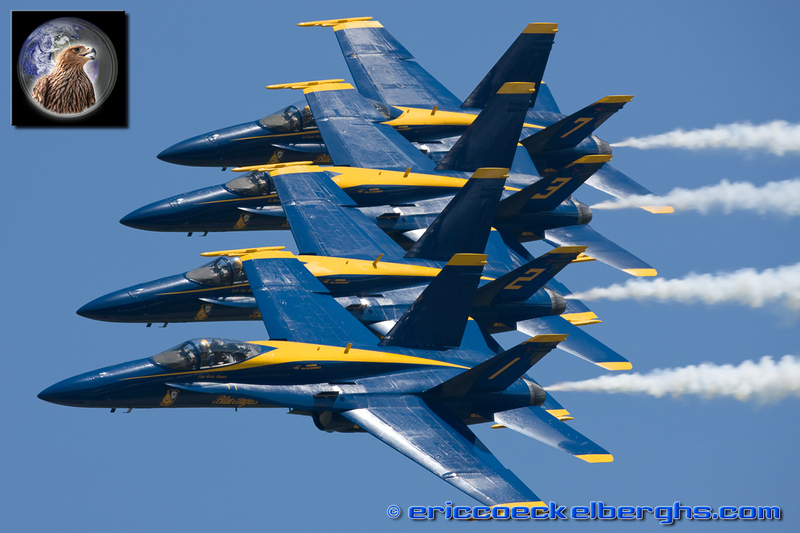 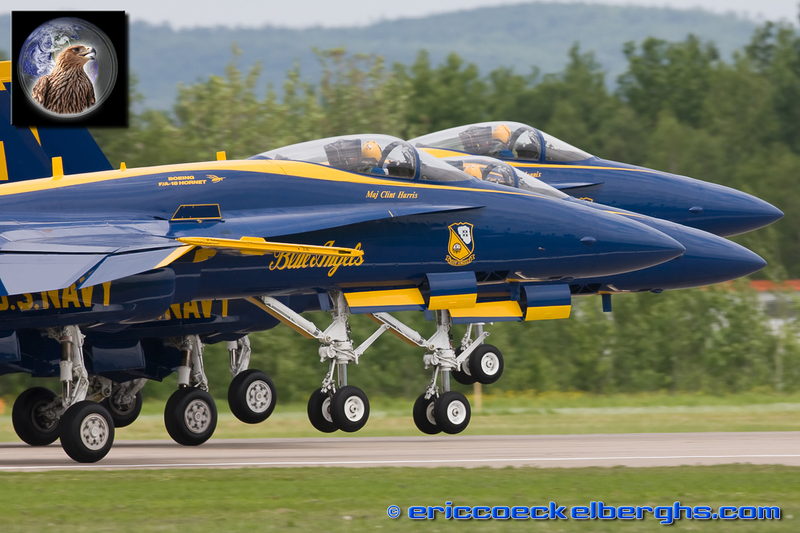 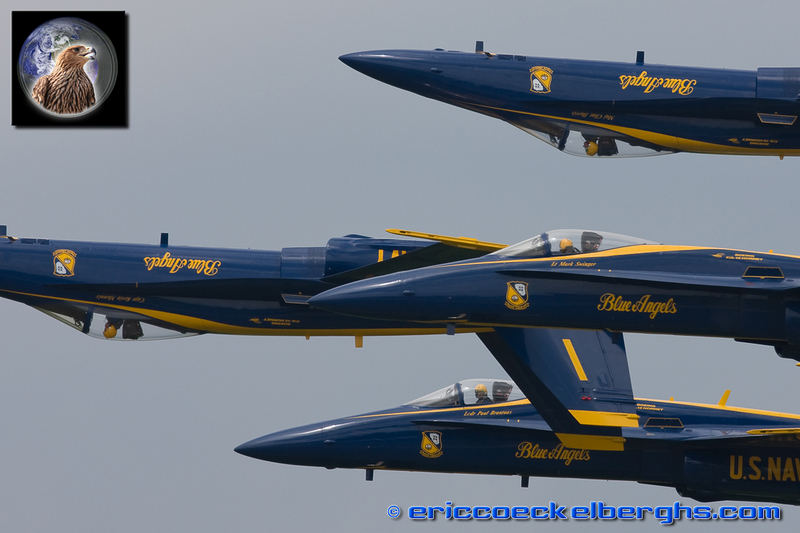 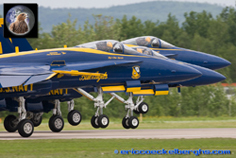 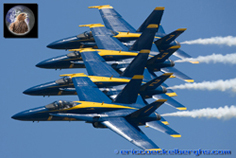 The Blue Angels had to cancel because of the weatherconditions, but the other teams did their flat show. 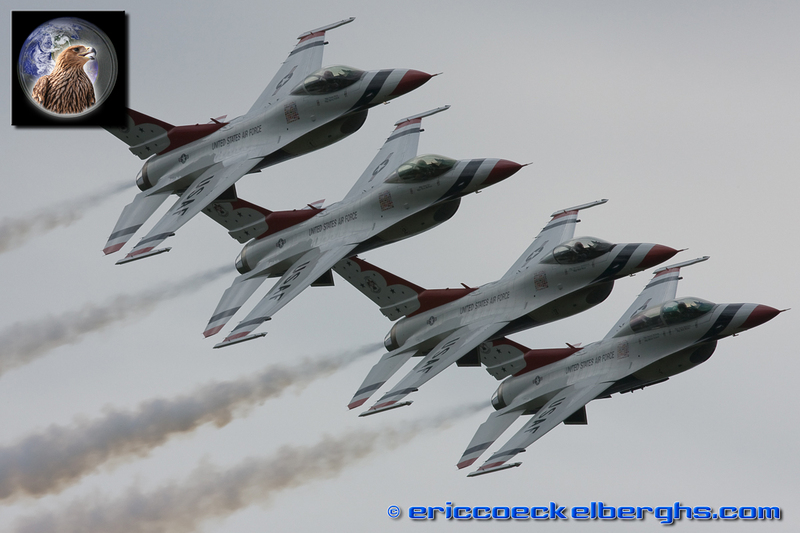 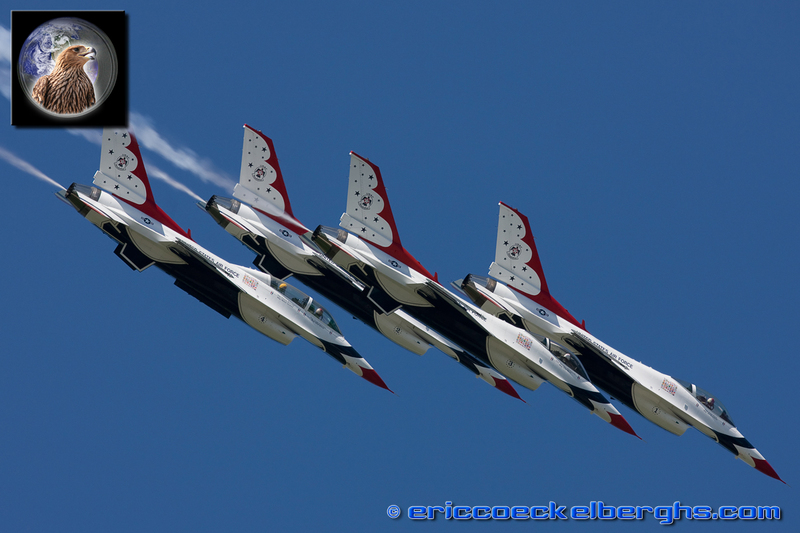 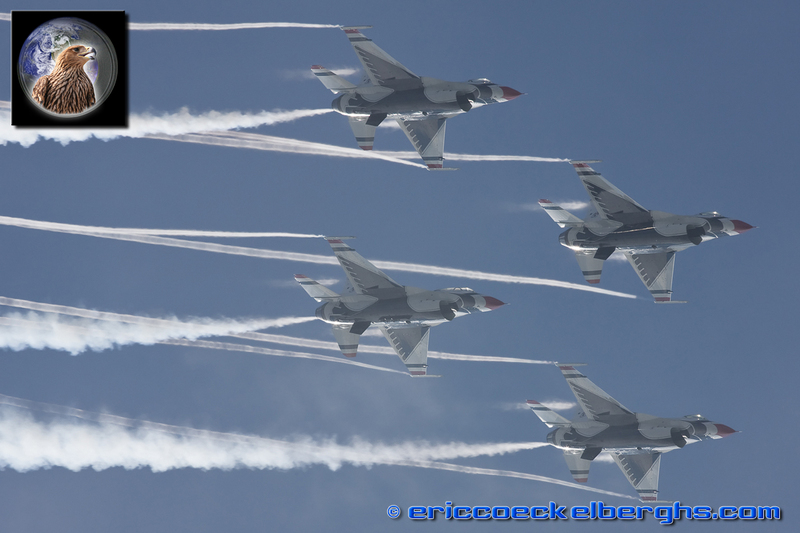 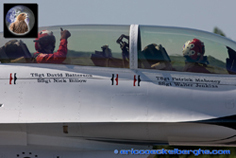 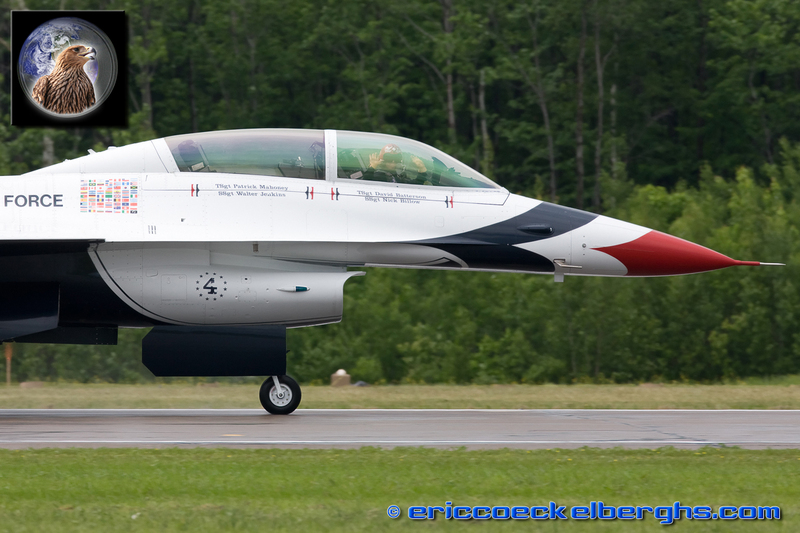 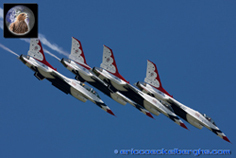 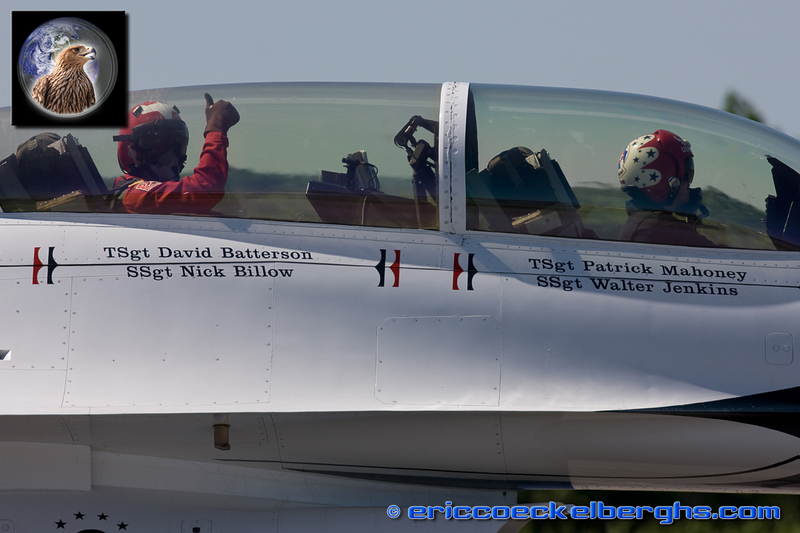 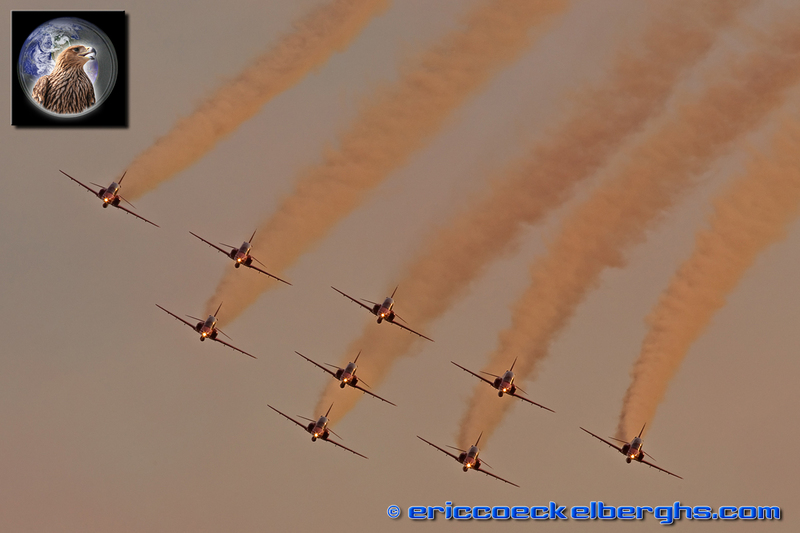 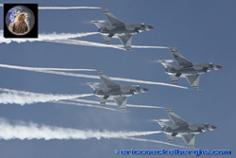 The Thunderbirds even got some moments with sunshine again! 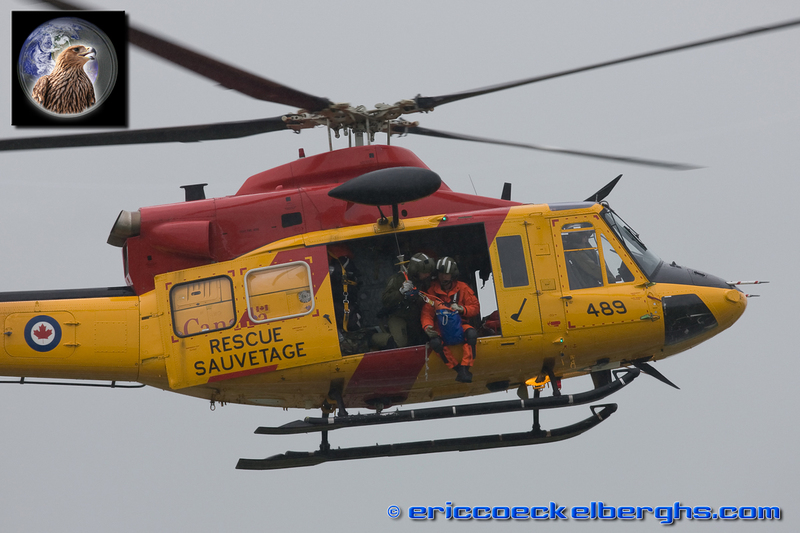 All in all a very wet, but also very unique airshow. 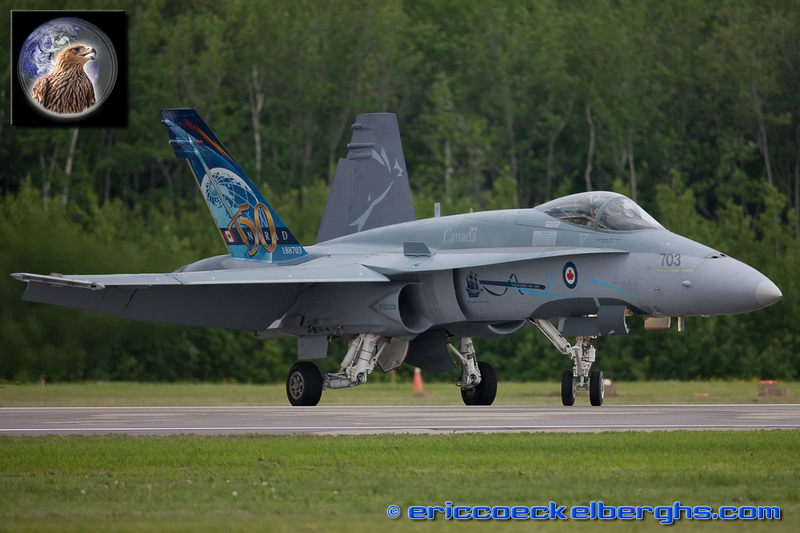 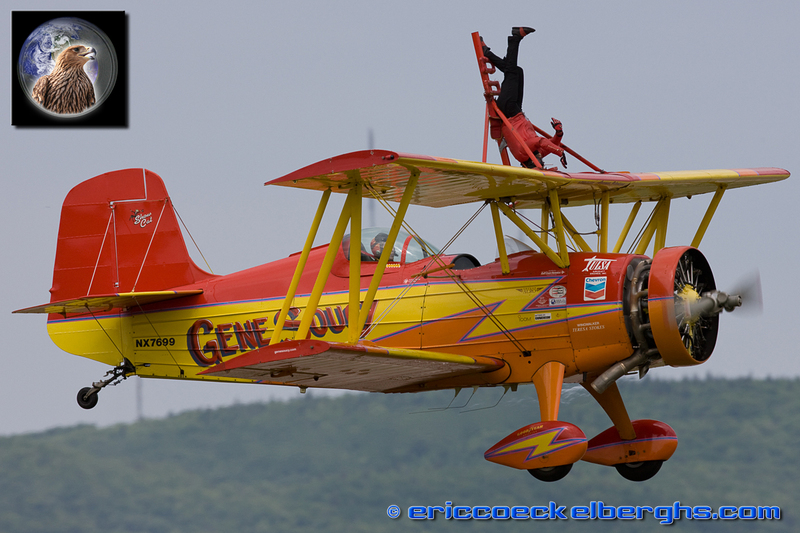 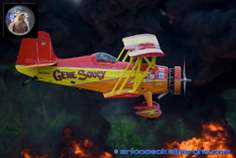 Unfortunately this might have been the last major air event in Quebec City, as the future expansion of the airport and its traffic would not allow an airshow anymore.